I need another cookbook like I need a hole in my head. The pantry is holding steady at 114 at last count. This, of course, hasn’t stopped me from putting 7 more on my Christmas list despite my limited shelf space. I’ll never get around to every recipe on every page, but I have hope that each new acquisition will turn out to be a workhorse, an old reliable, like my handful of favorites that I go back to time and time again. 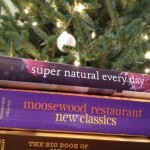 A nice way to channel this hoarding problem is to buy cookbooks for friends and family, especially this time of year. It makes a thoughtful gift when you take that extra step to personalize it. Go through and mark the best recipes, adding helpful comments or tips to save them time and trouble. I’ve done just that, virtually, for this post. I humbly offer up this list of three winning volumes that have the solid endorsement of a friend who’s cooked their way through the recipes, some old and some new, for the food lovers in your life. They have served me well. Super Natural Every Day. 2011. Heidi Swanson. 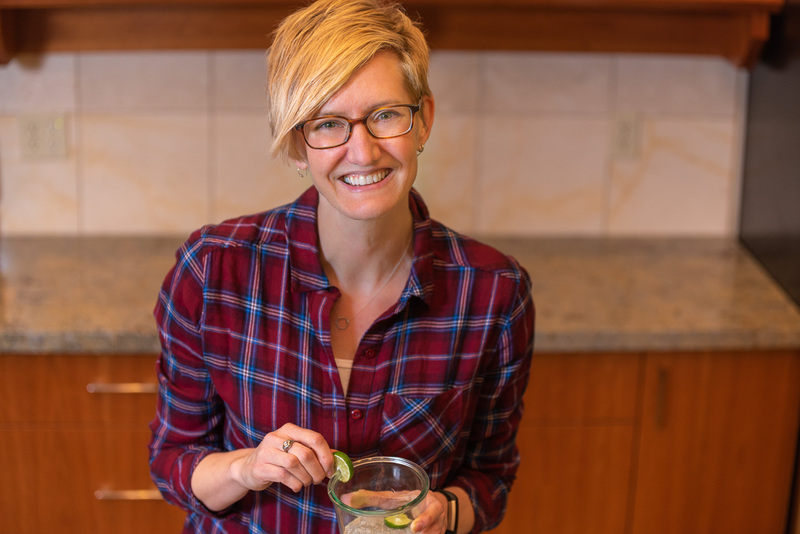 I like Heidi’s recipes so much I bought both of her cookbooks, even though I can get her latest creations for free on her blog (101 Cookbooks). She is the chosen one for me and my kitchen and her recipes are spectacular despite the simple ingredients she brings together. You can’t go wrong with her first book, Super Natural Cooking, either. Yogurt Biscuits (page 42). I’m not much of a biscuit maker, but her photo of their gorgeous, golden brown layers convinced me to give these a try. They’re tall, they’re rectangular, they’re made with whole grain flour, and they’re fabulous (even though I substituted fat free yogurt for the Greek yogurt). Whole Grain Rice Salad (page 70). Who would’ve thought to put fresh cherries in a savory grain salad with basil, goat cheese and walnuts? The combination is magic, and just another excuse to eat cherries in July. White Bean Spread (page 110). The very best way to prepare white beans, in my opinion, and a flavorful alternative to hummus. The perfect partner is her homemade Pita Chips (page 108). 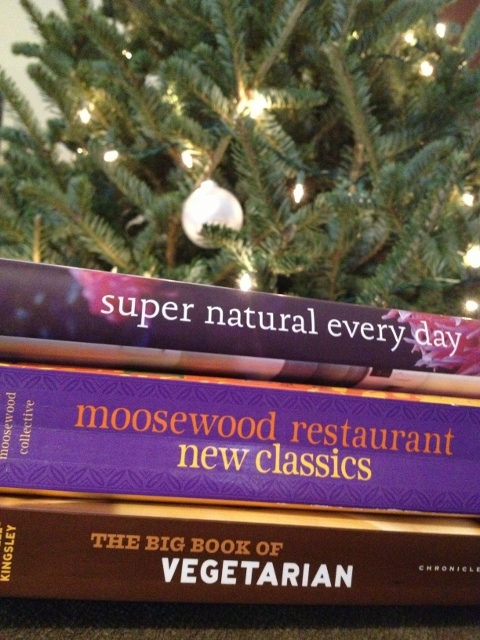 Moosewood Restaurant New Classics. 2001. The Moosewood Collective. Indian Curried Potato Wrap (page 160). Extra creamy potatoes and spiced vegetables wrapped in a whole wheat tortilla build a hearty and tasty meal, made even better by the recommended accompaniment: Rhubarb Cherry Chutney (page 383). Lemony Baked Tofu, rosemary lemon marinade variation (page 223). The book automatically falls open to this page out of habit because we’ve made it so often. It’s fast, needs only 6 ingredients, and comes out perfectly delicious every time. Trenette al Pesto (page 260). Green beans, potatoes, and pasta coated in homemade pesto. Geez. I try to rate each recipe after I put in the time to plan, shop, and prep for it to help me decide 6 months from now if it’s worth planning, shopping and prepping for again. This one got a “super awesome”. The Big Book of Vegetarian. 2005. Kathy Farrell-Kingsley. Stewed Broccoli Rabe, White Beans and Potatoes (page 181). A nice nutrient-dense side dish that isn’t your run-of-the-mill steamed broccoli. Edamame Succotash (page 241). It would have been worth the price of the whole book just to get this recipe, as far as our family is concerned. It’s one of Jeff’s favorites and it’s a godsend in the summer when our CSA box is overflowing with zucchini and corn. Berry Tofu Ice Cream (page 297). I aspire to be the kind of person who would make fresh ice cream in the heat of summer when the raspberries are ripe, but sometimes it seems like too much work and I’m not thrilled about loading up on the requisite egg yolks. So, this simple recipe was a wonderful discovery, as it uses tofu and soymilk for the base. No eggs required. All of these beautiful paperbacks are available at your local bookstore, used bookstore or online. Shelf space be damned. What’s the most beloved cookbook in your collection? I’m obsessed with cookbooks too! Now my collection of 38 seems so small in comparison. I suppose you have a good excuse as since it relates to your profession. As you suggested, I did buy several cookbooks to give as Christmas gifts, and Jonathan questioned whether my recipients were as crazy about cookbooks as I. How can they not love them is my question. Thanks for the recommendations! Your blog is so informative and useful. Hi Jennifer. Glad to know I’m not the only one with the obsession. And so very glad to know you’re enjoying the blog. Thanks for your kind words.